Today was another long day. It took about 3 hours to exit the Tarangire game preserve. On the way out, however, we happened upon two adult lions (one male, one female) with their 3 cubs. So that was good. 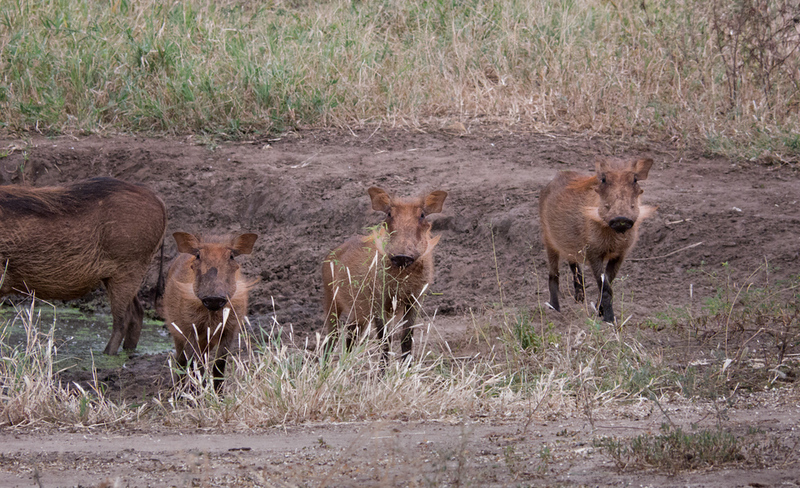 Plus some friendly warthogs, which was a nice touch. Unfortunately the lions were not close to a road, so I was unable to get any decent photos. You’ll just have to trust me. Did I mention that one of the lions had a zebra riding on it’s back? And that the zebra had a monkey on it’s back? Like I said, you’ll just have to trust me. Then it was an hour drive to Lake Maryana, a small game preserve/lake smack up against the Rift Valley wall. It’s known for a massive stork population. We also saw three different species of monkeys and some hippos. From there, we drove up the Rift Valley wall and on to our current destination, a coffee plantation a few minutes drive from the Crater at Ngorongoro. Did you know that in the original story, the three pigs end up eating the wolf? 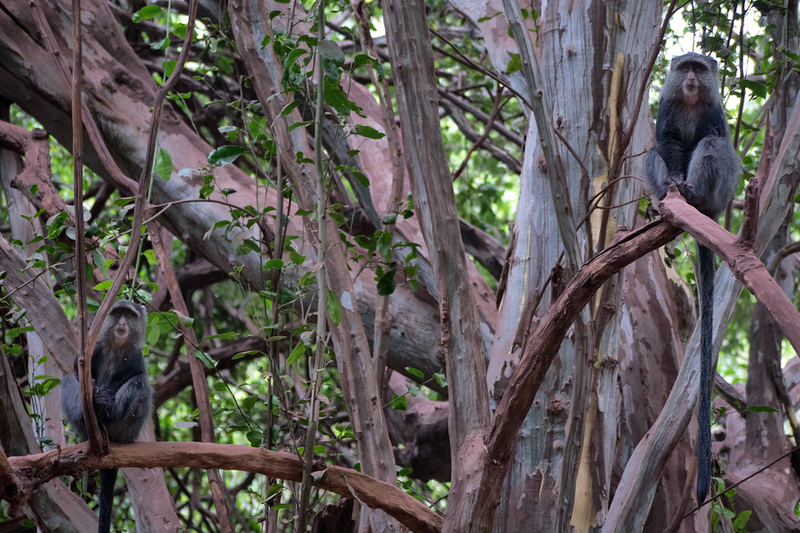 Blue Monkeys in Lake Maryana National Park. Lake Maryana is known to have one of the largest stork populations in Africa. So of course I was not able to get any decent pictures of them. Again, you’ll just have to trust me; there were a lot of storks there. Next week I’ll be back with pictures from the Crater at Ngorongoro and from the Serengeti.